A wealth of ancient Coptic hymns that portray the life of the Lord Jesus, his death and resurrection will resound in Paris on Saturday 25 May at The Anointed Servant (Le Messie) concert at L’Eglise Saint Ferdinand-des Ternes, 27 Rue D’Armaillé 75017 Paris. Some 100 Coptic singers of different ages from France and the UK, members of the St Kyrel Choir and Orchestra, will be singing the hymns in French, English, Coptic and Greek. They will be accompanied by over 15 professional musicians playing authentic instruments. 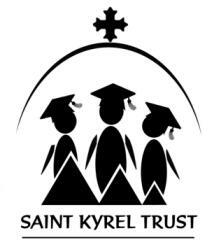 This will be the third such annual event held by the Saint Kyrel Trust (www.stkyreltrust.org), a charitable British Organisation, to raise funds for its mission of supporting deprived university students in Egypt. The 2013 concert will be dedicated to HH Pope Tawadros II, the 118th Pope of Alexandria and Patriarch of the See of St. Mark on the occasion of his enthronement. Detailed information on the event can be found at www.anointedservant.org, as well as tickets and CD/DVD of past concerts.